European River Cruise - The Romantic River Cruise on the MS Amaserena. Framed by rolling hillsides, lush vineyards, and medieval castles, the Danube River has captivated musicians, artists and poets throughout the centuries. 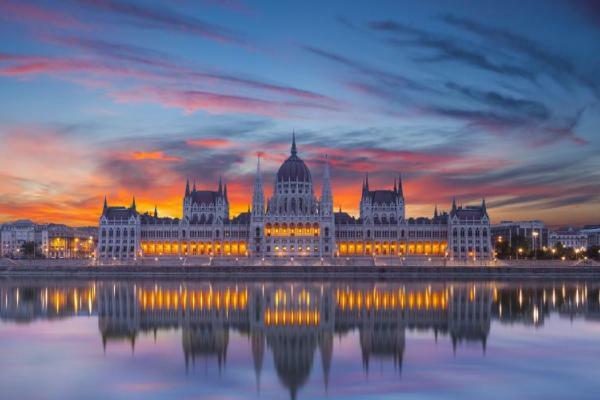 Travel to legendary destinations on this European river cruise when embarking on an 8-day cruise from Vilshofen to Budapest. Explore a 2,000-year-old city, visit wonderfully preserved medieval towns, savor Europe's wines, and experience the timeless beauty and fascinating history of Vienna and Budapest. This evening meet your fellow passengers on board for the Welcome Reception and Dinner. * Wine-themed cruise: This evening meet your fellow passengers at an evening Welcome Aboard Wine Toast. The evening has a special treat in store: an Oktoberfest presented by the town of Vilshofen. Bavarian folk music, songs and dances set a lively scene as you gather at long tables to sample Vilshofen’s distinctive local beer. The Mayor and Beer Queen are on hand to greet you and wish you a successful journey along the Danube. This morning you are free to explore Vilshofen’s beautiful old town before cruising to Passau. This afternoon you have a walking tour of this 2,000-year-old city, noted for its Gothic and Italian Baroque architecture, cobblestone streets, Rathaus, Domplatz and Residenzplatz squares, as well as St. Stephen’s Cathedral. * Wine-themed cruise: This morning you are free to explore Vilshofen’s beautiful old town before cruising to Passau. In the afternoon join a walking tour of this 2,000-year-old city, noted for its Gothic and Italian Baroque architecture, cobblestone streets, and St. Stephen’s Cathedral. 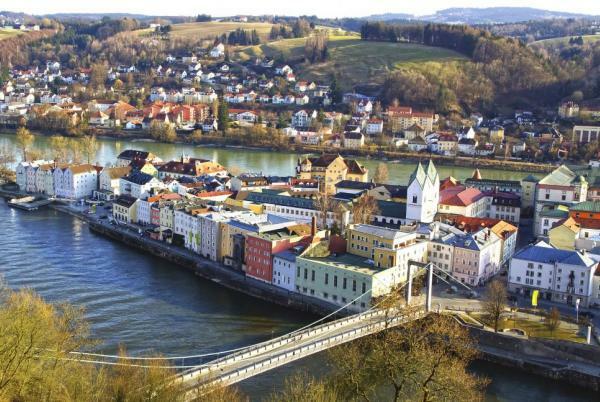 Guests looking for a more active afternoon may join a guided hike up to the Veste Oberhaus fortress overlooking Passau. Prior to dinner, enjoy an onboard wine tasting. The ship arrives this morning in Linz. Enjoy a walking tour of the second largest city in Austria or choose a guided bike tour that shows you around the Old City Center, along the Danube River, and past the ultra-modern Ars Electronica Center. Later, you have a choice of three different excursions. The first option is an excursion to Salzburg, Mozart’s birthplace, where you can take a walking tour of the historic center made famous by "The Sound of Music.” The second option is an excursion to the Czech town of Cesky Krumlov, a wonderfully preserved medieval town nestled in the hills just over the Austrian-Czech border. The third option is a visit to the Austrian Lake District, the scenic Salzkammergut region. All three regions are UNESCO World Heritage Sites. * Wine-themed cruise: The ship arrives this morning in Linz. Enjoy a walking tour of the second largest city in Austria or choose a guided bike tour that shows you around the Old City Center, along the Danube River, and past the ultra-modern Ars Electronica Center. 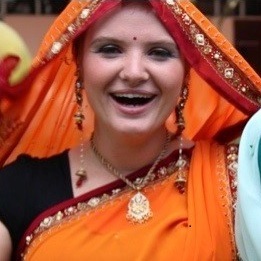 Later, have a choice of three different excursions. The first option is an excursion to Salzburg, Mozart’s birthplace. Take a walking tour of the historic center made famous by "The Sound of Music.” The second option is an excursion to the Czech town of Cesky Krumlov, a wonderfully preserved medieval town nestled in the hills just over the Austrian-Czech border. The third option is a visit to the Austrian Lake District, the scenic Salzkammergut region. All three regions are UNESCO World Heritage Sites. Tonight, savor a fabulous Chaîne Des Rôtisseurs Dinner complete with wine pairing. * Wine-themed cruise: Cruise through the narrow Strudengau this morning en route to Weissenkirchen. A guided tour takes you through Melk’s magnificent Benedictine Abbey, one of Europe’s largest and most famous monastic sites, home to religious relics and a library filled with medieval manuscripts. Take an Abbey tour, followed by a visit to a local vineyard near Dürnstein, for an introduction to the famous wines of the Wachau. This morning savor the Baroque elegance of romantic Vienna through your choice of one of three different excursions. The first option is a panoramic tour of Vienna that guides you past the majestic Opera House, the former Imperial Palace of the Habsburg Emperors, Parliament, Town Hall, and Vienna University. 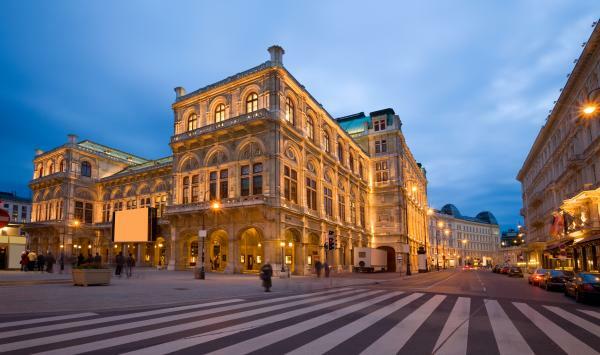 Afterwards, visit Vienna’s historic city center, a UNESCO World Heritage Site, and see St. Stephen’s Cathedral, Graben, and the world famous Spanish Riding School. The second option is a walking tour of Vienna’s hidden treasures that takes you to secret places and sites like Ankeruhr, a whimsical Art Nouveau clock. Your third option is a guided bike tour along the Danube and through the Donaupark. This afternoon, you can join a guided bike ride to Klosterneuburg Monastery, or explore at your leisure. Be sure to sample some Viennese coffee and pastries. * Wine-themed cruise: This morning, travel to nearby Dürnstein, one of Austria’s smallest towns with only 1,000 inhabitants, and regarded as the most romantic place in the Wachau. Marvel at the magnificent blue facade of the Baroque Stiftskirche and the ancient terraced vineyards that surround the town. Looming overhead are the ruins of the castle where Richard the Lionheart, King of England, was imprisoned in 1192. Have the option to take one of three tours: a walking tour along Dürnstein’s cobblestone streets, a hike up to the fortress where Richard the Lionheart was once held for ransom, or a guided bike tour along the Danube. The ship cruises to Krems after lunch, arriving in the early afternoon. Krems offers a rich array of wine-related history, culture, and tasting opportunities. 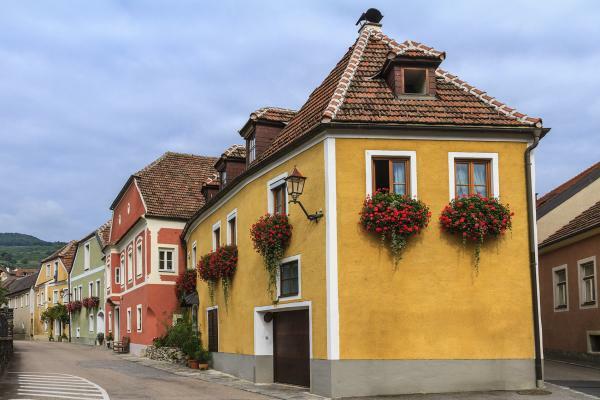 Learn about the town’s thriving wine culture during an afternoon visit to a Wachau winery. 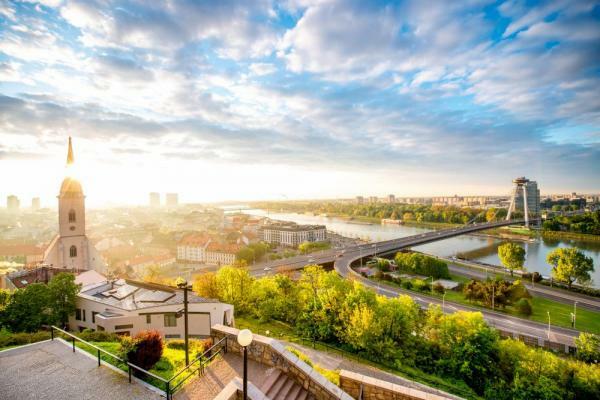 Enjoy a scenic morning cruise to Bratislava, where you have three choices of excursions. The first is a walking tour that includes the Old Town Hall, Mirbach Palace, and St. Martin’s Cathedral. The second is a Slovakian Specialties tasting where you can enjoy a welcome glass of sparkling wine, sample a creamy soup made from sheep's cheese, and learn how to prepare stuffed potato ravioli. Finally, you can also join a hike up to Bratislava Castle, which includes visits to the Castle Upper Terrace and Court of Honor. The remainder of the day is free to explore on your own. * Wine-themed cruise: This morning, have a chance to savor the Baroque elegance of romantic Vienna through your choice of one of three different excursions. The first option is a panoramic tour of Vienna that guides you past the majestic Opera House, the former Imperial Palace of the Habsburg Emperors, Parliament, Town Hall, and Vienna University. Afterwards, visit Vienna’s historic city center, a UNESCO World Heritage Site, and see St. Stephen’s Cathedral, Graben, and the world famous Spanish Riding School. The second option is a walking tour of Vienna’s hidden treasures that takes you to secret places and sites like Ankeruhr, a whimsical Art Nouveau clock. Your third option is a guided bike tour along the Danube and through the Donaupark. After dinner be treated to an excursion to a charming Viennese wine tavern to listen to folk music and sample newly pressed local wine. Your morning excursion includes sightseeing in the cities of Buda and Pest spread over both banks of the river. See famed Heroes’ Square and Castle Hill, home to Fisherman’s Bastion, Matthias Church, and spectacular views of the Danube. Alternatively, you may also opt to join a hike up to Castle Hill on which you can see Buda Castle, Fisherman’s Bastion, and Parliament Square. After dinner, the ship sails a special Illuminations Cruise past the glittering riverfront of Budapest. Making its debut in 2015, the AmaSerena features the most advanced designs in river cruise vessels. This 164-passenger ship boasts spacious staterooms with exclusive Twin Balconies, a choice of dining venues, heated pool and more! - Airport transfers with purchase of air from the expedition company.